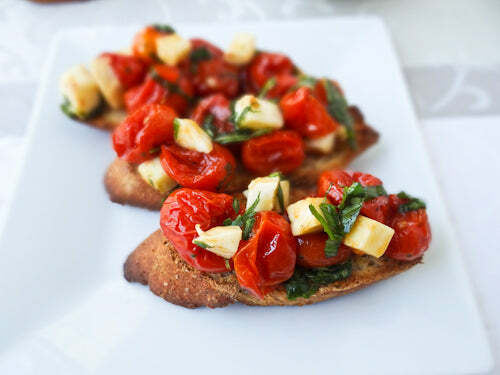 For a classically simple starter why not try toasted bruschetta, simple and full of flavour. This recipe comes from Simone Williams from Perfect Cellar, a website dedicated to giving you the best advice on wine and food. Simplistic in nature and full of flavour, a perfect starter to impress your other half. Here at Idle HQ we have decided to give you something a little different. Other than Bonfire Night, the 5th of November is host to something else, Men Make Dinner Day. This day is purely dedicated to men making the dinner for their friends or partners, so it's time to put your apron on, cook up a storm in the kitchen and get your creative hats on because you'll want to cook to impress! Men Make Dinner Day was started by Sandy Sharkey and she's been pushing men off of the sofa and into the kitchen to their partners' cries of joy. So lads, put down the beer and the remote and pick up a whisk, you never know, you may even like it! We have teamed up with some of the best restaurants, food bloggers and chefs to create a fantastic e-Book filled with amazing recipes from mac and cheese to haute cuisine - so whether you're feeling fancy or like to keep it simple then there is a recipe in this book for you. Get the latest from Perfect Cellar by following them on Twitter | Instagram and check out the rest of our Men Make Dinner Day recipes here. An Italian classic, packed full of flavour and dead easy to make. The better the tomatoes the better the bruschetta! Try pairing this Mediterranean starter with the light and fragrant Domaine des Huards Envol from the Loire Valley in France. In a large bowl, mix all of the ingredients together (except the baguette! ), not forgetting to add salt and pepper to taste. Cover and refrigerate for about an hour so the flavours marry together. Slice the baguette loaf diagonally, into thick slices and lightly toast the slices until they are light brown on both sides. Remove the mixture from the fridge to bring it to room temp and serve on the warm slices of bread.